Oh gods, please tell me she's NOT an ET on the Gerald R. Ford. So question...for the life of me I cannot find a military insert...you know...the 13:00 to 24:00 military time in a dial...is there such a thing?? Just thought of it now when I read your post LOL!! Can't be the Enterprise as that's a floating scrap yard right now. Either way, nice work on the mod. 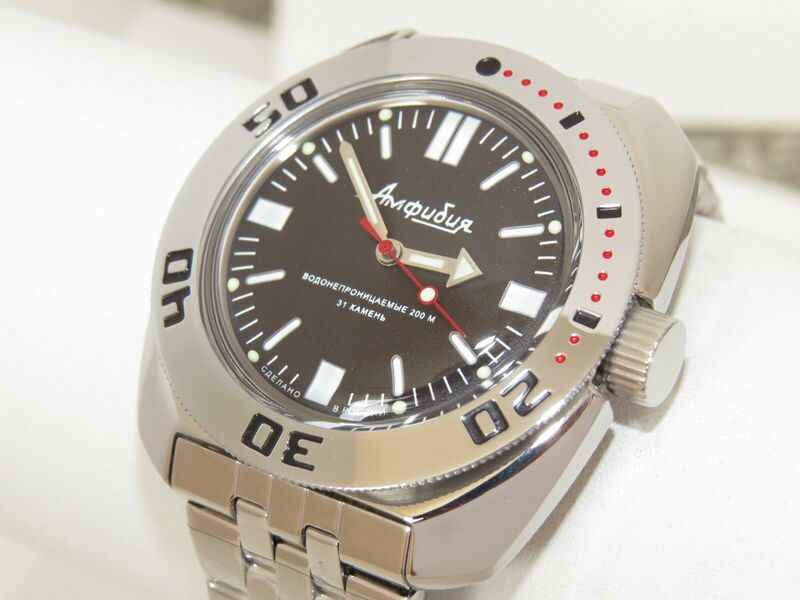 I'm looking into getting a Vostok.. I've narrowed down my options to one with 22mm lugs, but haven't gotten far past that.. I want at least 10bar WR and so that could include some of the Kommandirskie models. Any suggestions would be greatly appreciated! Sorry...she was babbling about the Enterprise and it got stuck on my brain. She is stationed on the Nimitz. Has anyone ever tried to strip one of the old resin bezels back to the brass? I'm not quite sure what the composition of the resin is but I would assume it's resistant to acid. Have a look on the Meranom site where the dimesions are shown along with the photos. Many of us seem to like the 710 case which has 22mm lugs and along with all Amphibias has a WR of 200m. Personally I think the new no date Scuba Dude models 670919 and 670920 are the best in the classic range as they are upgraded models without an increase in price. However, the lugs are 20mm on these.